Hi, Laura. My M.P. 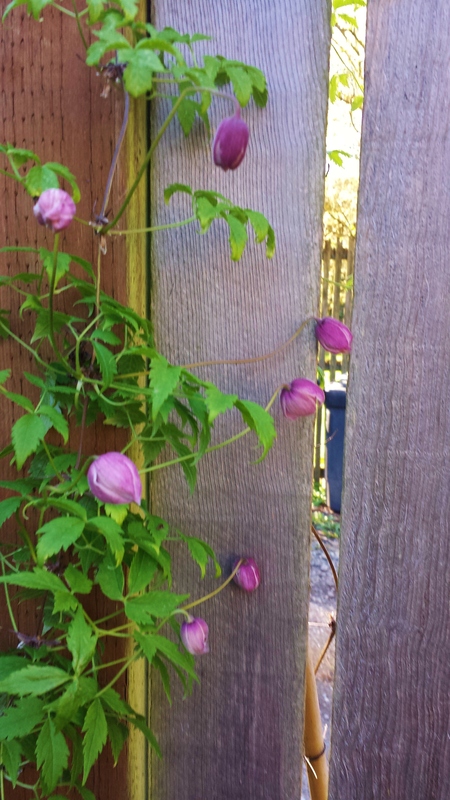 has been putting out a few blooms. They look great and last long in a bud vase (AKA glass salt shaker with lid off). But the vines look ratty and leafless. Too much sun? 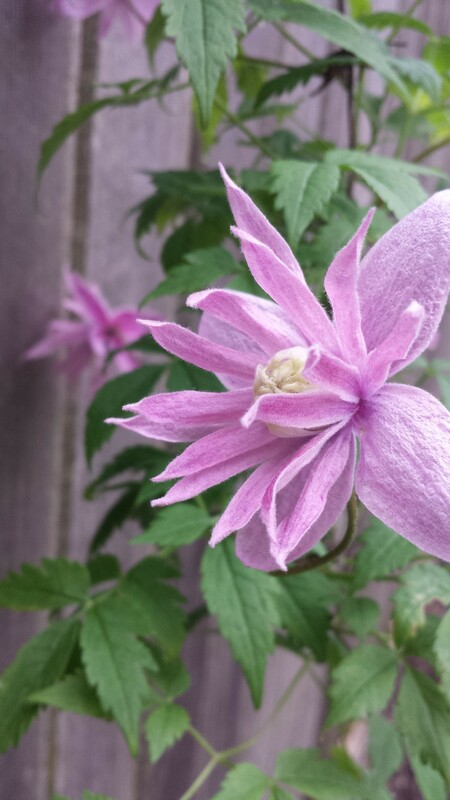 A good rainstorm brings on more blooms. The Joe Zary I got in July is “blooming its head off” as Debbie predicted. Fat buds are ready to open on Honora, Reflections and Sugar Sweet Blue. I’m anxious to see what SSB looks/smells like, my plant came from Brushwood without flowers last summer. Newly planted this year: Samaritan Jo, Josie’s Midnight Blue, Odoriba, Mississippi River, Pagoda, Venosa Violacea and a mystery integrifolia seedling from Debbie. That brings me to 43. I need to stop, I fear a draught this summer, but I’m still lusting for Glaucophylla. Alba Luxurians is wilting on me for some reason. 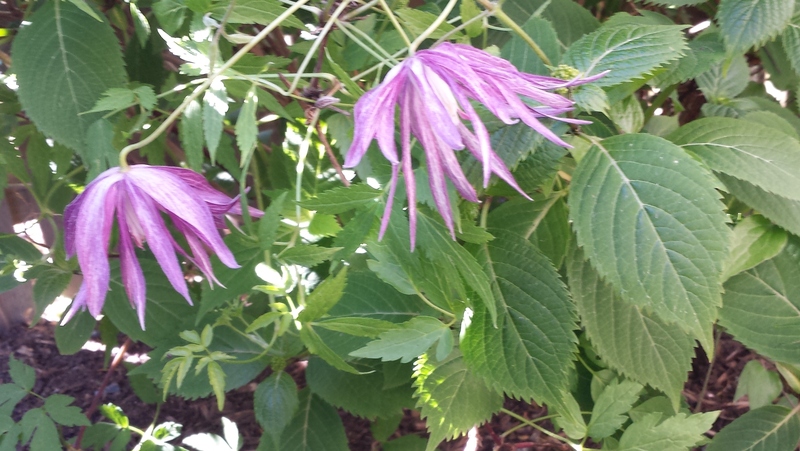 Wow, 43 clematis! You have nearly reached CLEMANIAC status! 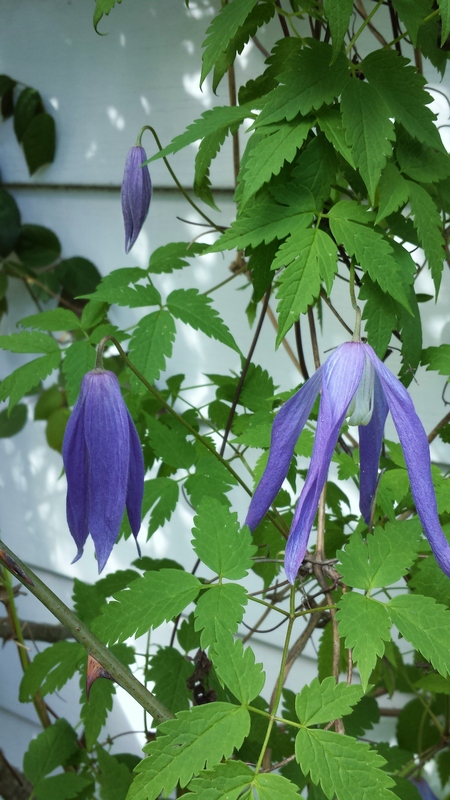 Hmmm, if your Markham’s Pink is in full sun, that could definitely be the problem–the Clematis alpinas prefer some shade, especially during a warm sunny spring like we’ve had here in Seattle this year. 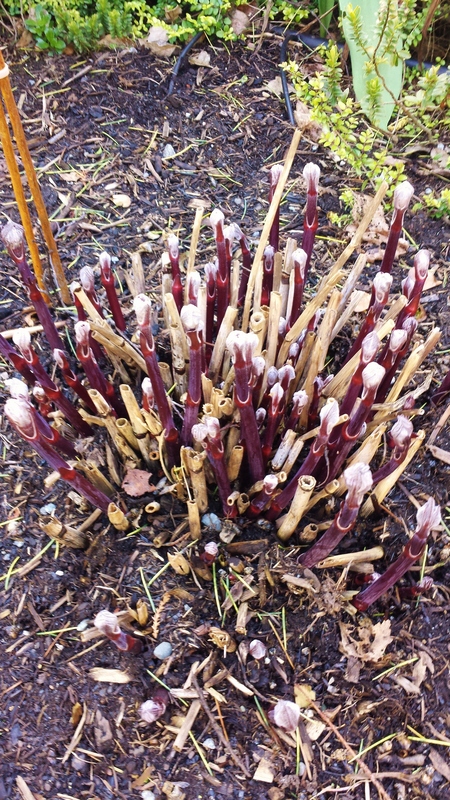 Alba luxurians is not normally susceptible to wilt, so check the vines to see if there is a hidden break somewhere down low that is causing the wilting. Either way, cut off all the wilted material and the plant is likely to come roaring back! 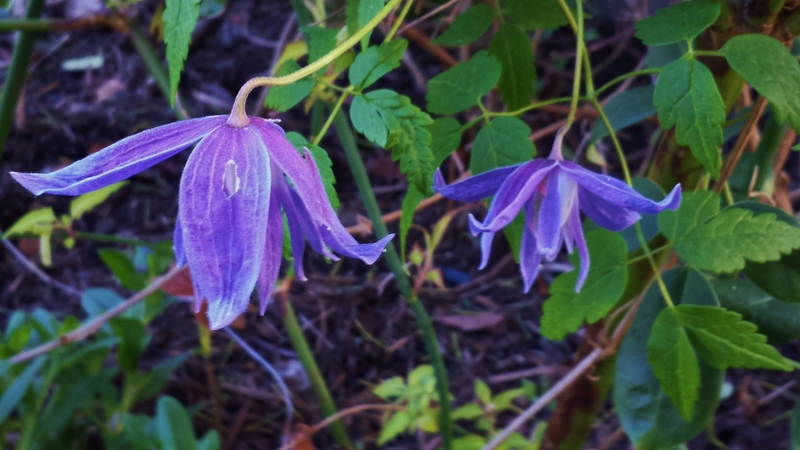 I have been hunting for pixie clematis for two years. Can’t find them anywhere. Any suggestions as to where to look?